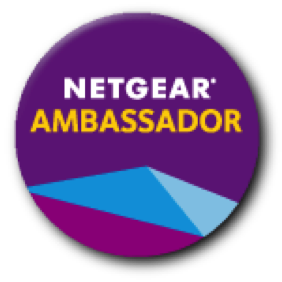 <align=”center”>This is a product-provided, sponsored conversation that contains affiliate links. I received one 4 oz. spray bottle of Puracyn® OTC Wound & Skin Care and a branded first aid kit. All opinions, text and experiences are my own. Summer brings back all kinds of fond memories. 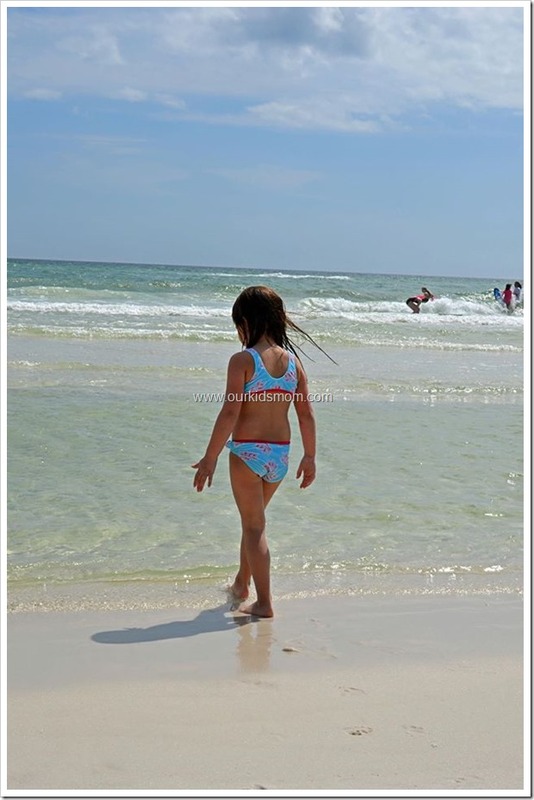 One of my favorite summer firsts was taking my daughter to the beach for the first time. Listening to her giggle as she experienced the beach for the first time left a permanent imprint in my memory. From squishing her toes in the sand, chasing the water as it rushed in and out to burying her in the sand and making a mermaid tail on her… they are all firsts that I never want to forget. Even on the beach my kids tend to get hurt. Walking barefoot in the sand feels great until you step on a broken shell. It’s just general knowledge that kids and scrapes go hand in hand. My four have scars and marks to prove it. Summer school has been out for less than a week and we’ve already had one significant cut/scrape per child. 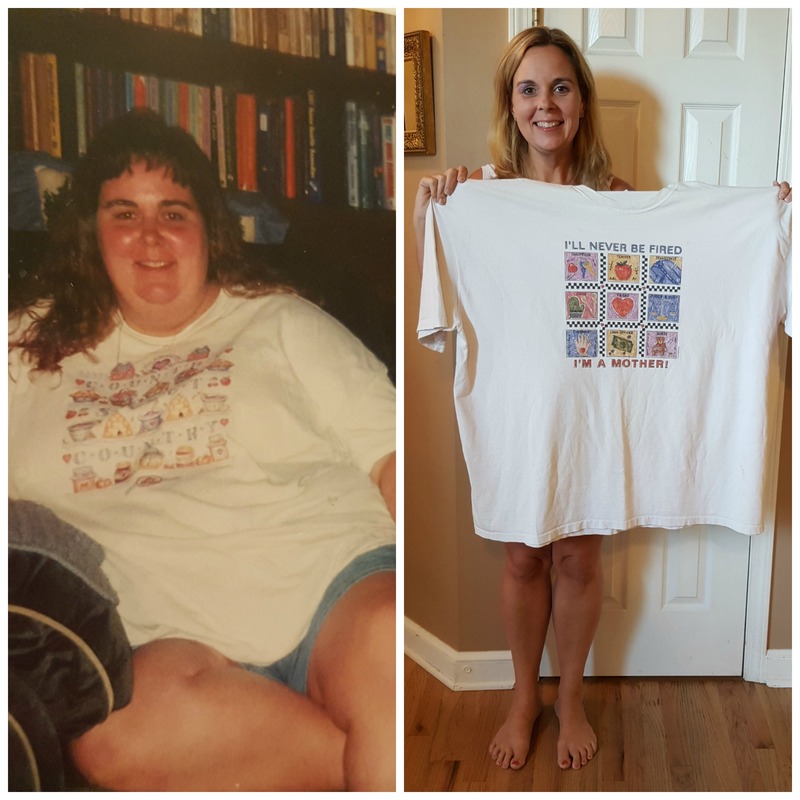 Thankfully I was introduced to Puracyn® Wound & Skin Care! 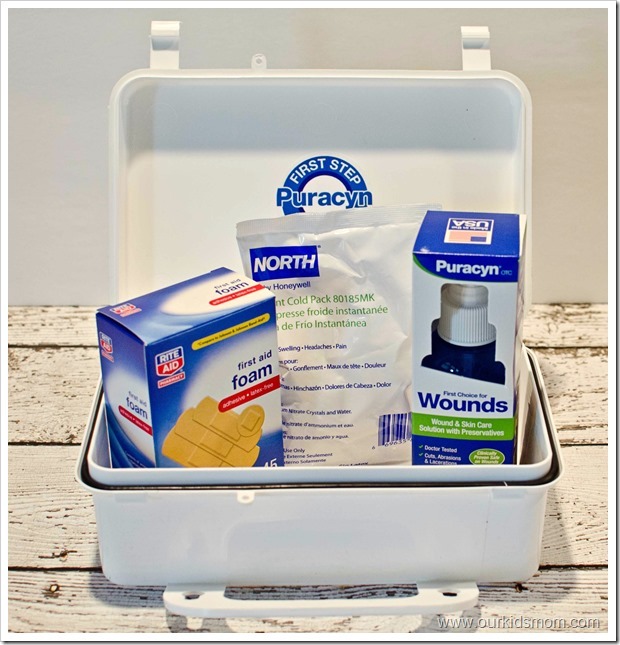 Puracyn® is the first step in on-the-go first aid care of minor cuts, scrapes and lacerations. It’s also the perfect on-the-go formula because it comes in a convenient spray bottle that can be tossed in your tote, and you don’t even need access to running water to begin the healing process. 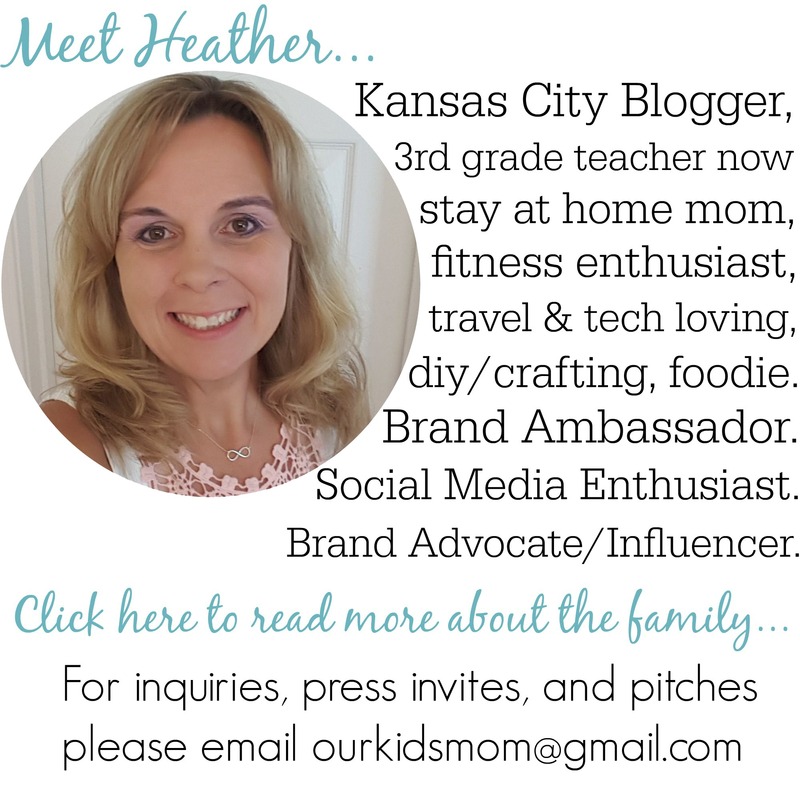 PEREFCT for summer travels to the park, vacation or even to the local electronics store (haven’t YOUR kids gotten hurt while shopping electronics? Ugh, mine have). You just spray it on the wound, apply a bandage and get back to the fun. It’s my new staple in our first aid kit for the car. Puracyn® OTC Wound and Skin Care isn’t just for moms and kids. It is perfect for athletes and outdoors enthusiasts for the inevitable cuts, scrapes and lacerations that occur when participating in activities such as hiking, biking or playing backyard and beach sports. The FIRST step in first aid is one of the most important – cleaning the wound. Puracyn® OTC Wound and Skin Care is that first step. Once cleaned of dirt, debris and bacteria, the wound should be kept moist and covered with a bandage. Doctor-tested Puracyn® OTC Wound & Skin Care is non-irritating, non-toxic and non-sensitizing as well as safe, effective and easy to apply in first aid situations. It does not contain antibiotics, steroids or alcohol and no prescription is required. Using Puracyn® OTC Wound & Skin Care puts the wound in the best possible environment for the body to quickly heal itself. Do you have a favorite summer first? 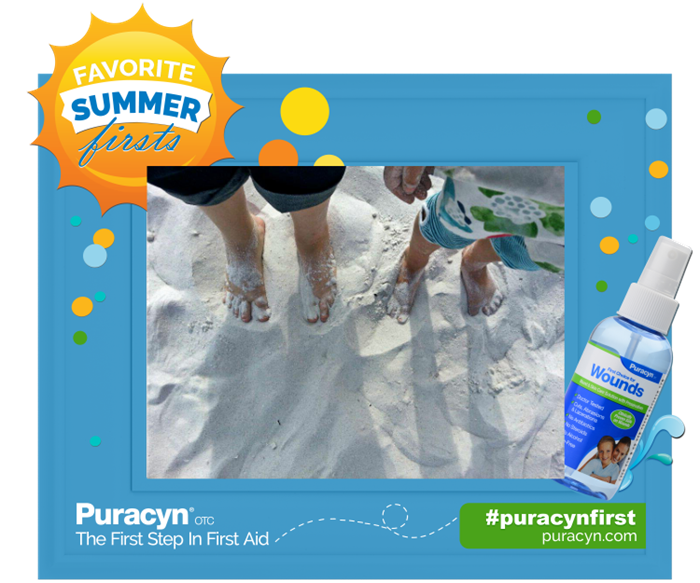 Follow Puracyn on Facebook to enter the Puracyn® Favorite Summer Firsts Giveaway! One (1) winner will be randomly selected on Thursday, July 3, 10, 17, and 24 after 12:30p.m. E.T. My favorite summer first is spending this summer with my son <3 He is now 9 months old!